If you’re searching for not only the best, but also the most eco-friendly option for insulating your home, both natural wool and recycled cotton are good places to start. Here we’ll discuss recycled cotton and natural sheep’s wool, and explore their relative composition to help you make an educated decision when building or re-insulating your home. When evaluating the effectiveness of insulation, it’s important to look at a substance’s R-value. The R-value is used as a measurement of thermal resistance. 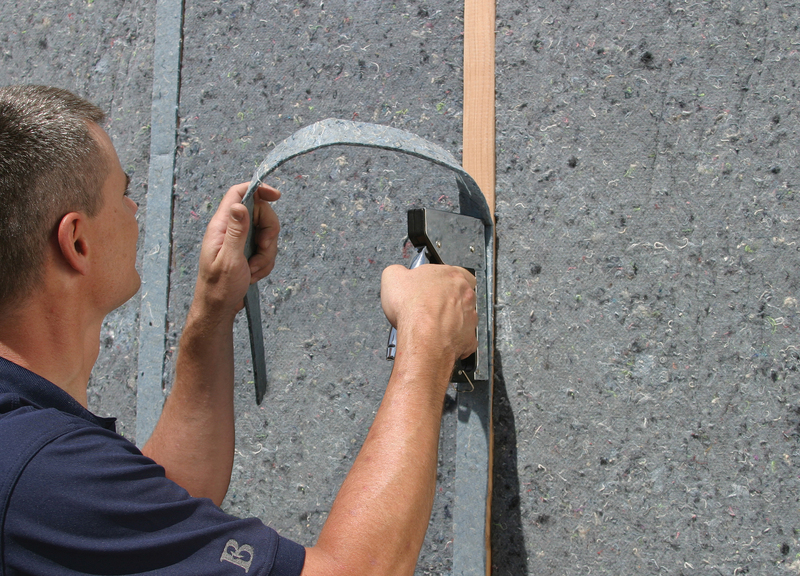 When it comes to insulation, a higher R-value means a product that will perform better as an insulating compound. Cotton insulation is a wonderfully sustainable and environmentally friendly option for insulating a home. Consisting of 85% recycled cotton and 15% plastic fibers, cotton insulation is both an eco-conscious and effective product. The plastic fibers included in the combination of materials are treated with borate to create a flame-resistant substance that is also an insect and rodent repellant. Recycled cotton takes very little energy to manufacture, and comes with an R-value of R-3.4 per inch. It’s non-toxic and non-hazardous, allowing you to install it without risking distress to respiratory systems or skin. Sheep’s wool can be made from either new or recycled material, and may be blended with other substances such as polyester or resin to help the wool keep its shape over time so it doesn’t sag within the walls of the home. But keep in mind that wool insulation can only be labeled as such if it is at least 95% natural wool, meaning the majority of the product is homogeneous. Wool also has the added benefit of being flame retardant, which means that it can slow the progression of a house fire. Just like cotton, it can also be handed without risking the health and safety of the installer. The R-value of sheep’s wool is R-3.5 per inch, and is similar to other fiber insulates. Wool fibers are hollow in nature, allowing them to trap air both within and between fibers, increasing their insulating effect. Wool is also a moisture-absorbing material and is able to trap up to 40% of its weight in moisture while still remaining dry, which may aid regulating the home’s temperature throughout the day and night. If you’re looking for an alternative insulation to common materials like fiberglass and polyurethane foam, recycled cotton and wool are both great eco-friendly options to consider. Check out our blog to learn more about eco-friendly building materials and other great tips home remodeling tips!